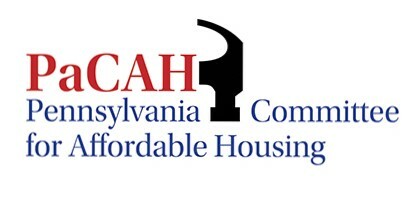 PaCAH, or the Pennsylvania Committee for the Affordable Housing, is the political action committee of the Pennsylvania Builders Association, PaCAH is bipartisan- supporting both Democrats and Republicans- and helps elect and maintain qualified, pro-housing, pro-business candidates to the state office. Why should you contribute to PaCAH? PaCAH is your voice at the state level. PaCAH has strength in numbers- more members who support PaCAH, the stronger our voice is for the political process. * Act 84 of 2018: HB 1499: Elimination of Signature Requirement for Closure of NPDES Permits. * Act 111 of 2018 Workers' Compensation Fix. * Act 26 of 2017: Alternate On-Lot Septic Systems for Site Development Plans. *Act 36 of 2017: RAC Fix. The PA Committee for Affordable Housing (PaCAH) raises money and supports campaigns of state legislators who work tirelessly for builders. This resource can make the difference between a win and a loss or an ally and an adversary. Even if you can't be a strong contributor to PaCAH fundraising efforts, we all have friends and business associates who are interested in helping our allies to victory. You can Complete the PaCAH Contribution form.